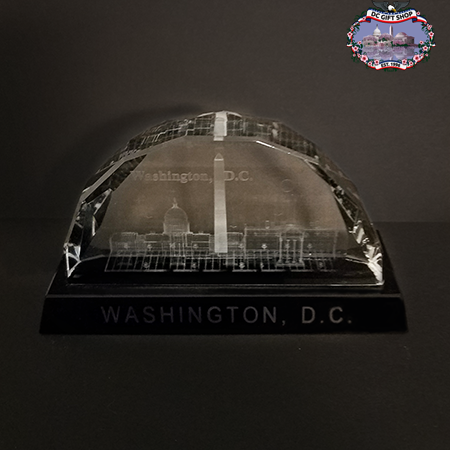 Our faceted crystal landmarks paperweight is over 3 pounds. It measures 6 3/4 inches wide x 4 inches tall x 2 inches deep. This glass is laser is etched with a nighttime scene of Washington DC. The US Capitol Building, Washington Monument, and the White House are displayed. This makes a lovely gift to showcase in your loved one's office.